Irrigating with water containing very low levels of chlorine (2-8 ppm) can cause significant growth reductions with some cultivars. Common relatives include tobacco, eggplant, petunia, tomato and potato. Glossy fruit, 1-3 inches long, round to elongated in shape, in loose clusters at stem ends. Leafy stems 6-8 inches long. From the Greek “kapto” (to bite) referring to the hot taste of some cultivars. 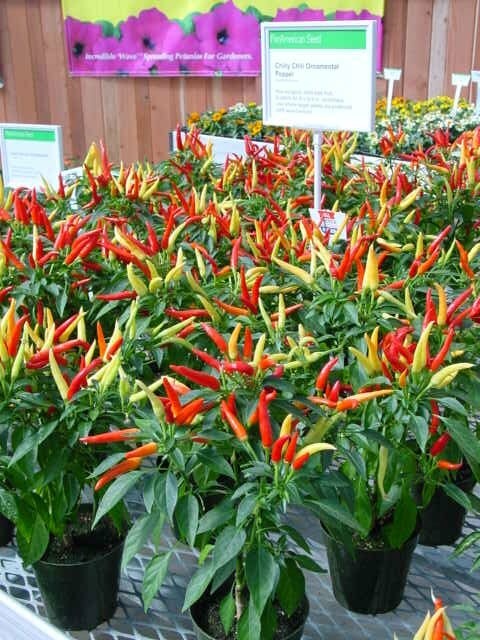 The specific epithet name annuum means annual.